There's no doubt about it, the London Olympics have been downright inspiring. For the past three weeks, world-class athletes have amazed us with their athletic abilities and, well, their abs (we're looking at you, Tom Daley!). And a Spice Girls reunion to top it all off? Anything is possible, people! If you're still feeling the Olympic spirit, you could always start training for Rio 2016. Then again, last time we checked, those decades-old martial arts pants are looking more like capris, and becoming a synchronized swimmer will take much more than great waterproof make-up. 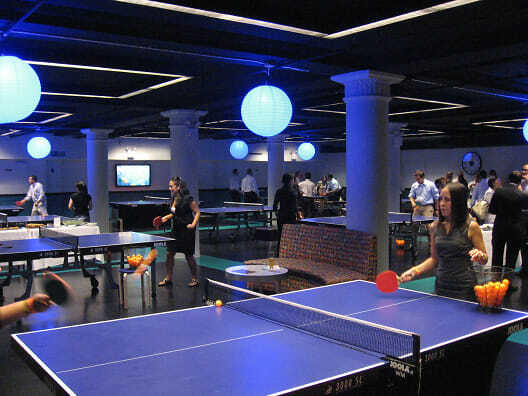 No worries, though, because we've rounded up NYC nightlife spots that are keeping the drinks cool and the competition alive with table tennis, bocce ball, and more!